Now a days, Paris offers the most ancient, newest and beautiful museums of the world, some of which are considered authentic pieces of art for their own architecture. But what we want to offer you is a bit different: take a photographic workshop with a master photographer to discover the real essence of the typical artistic excitement of city in this artistic tradition in Paris photo tour. All about the ARTISTIC TRADITION IN PARIS PHOTO TOUR. Ohh, Paris! There is nothing in the world more connected to art than Paris. And this is true indeed: France, and Paris in particular, has been one of the most lively artistic centre in the whole world. Baroque, Rococo, Neoclassicism, Romanticism, Impressionism and Modernism. Each cultural and artistic movement had one of its centers here, and this explains the presence in the city of renowned artists like Pigalle, Poussin, Delacroix, Cézanne, Degas, Monet, Renoir... and many, many others! Already during the XIV century, when Paris become the most refined and important city in Europe, it was an attractive center for each kind of artist; but was during XVIII and XIX centuries when Paris developed the most of its attractive character. The city offers today many museums valuable both for the pieces of art they contain and for the architecture they display, but in order to capture the authentic artistic charm of Paris, it is important to walk outside the walls of these cultural institution and strolling around in Montmartre. 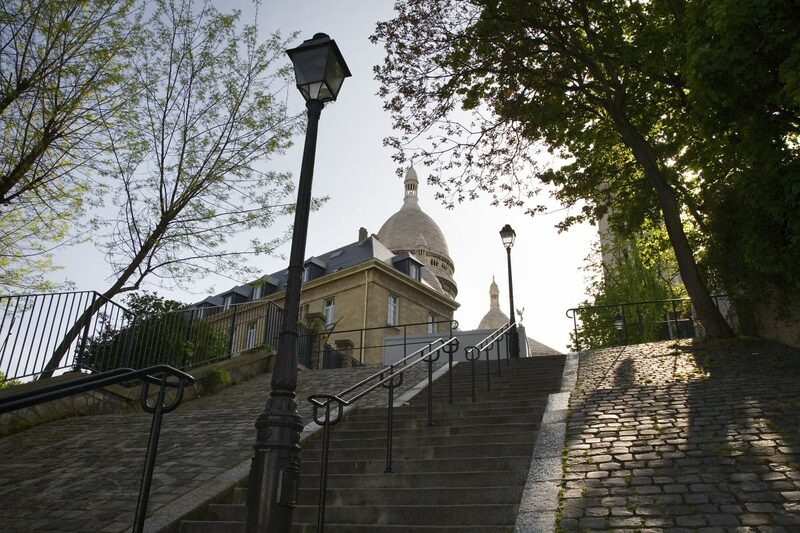 When thinking about art in Paris, instinctively the mind goes to Montmartre: a large hill in the 18th arrondissement. At the end of the XIX century, the area was a meeting point for artists, writers and poets that with their presence and acts, contributed in the construction of the bohemian reputation of the district. Today the hill (butte) has no more the same artistic prominence it had in the past, but it has maintained its character, and still hosts artists and performer that keep alive its memories. Come with us, appreciate the splendor of the past and try to capture it among the many small squares, the curvy tiny streets and the small ledges of the hill. Follow our master photographer and take all the ideas and suggestion he can offer you. Try to portray with your own camera the appeal of past times, the vitality of Montmartre and the charm of some renowned pieces of art realized by famous artists. Street photography is here related and combined with art and the artistic view. Then free your creativity, shoot the most noteworthy corners, capture the sun seeping in through the trees and portray the artistic side of Paris. Learn with our teachers how to construct a picture exactly in the way you want it, explore new photographic techniques and experiment with your camera. What is more, from the hill the view of Paris, particularly of its roofs, is stunning, and this subject has always been very interesting for many artists of the past. Enjoy the view and try to capture beautiful landscape pictures of the city, or to portray its iconic elements. This road sweep the Montmartre hill up to square Jean-Baptiste-Clément. It is characterized by peculiar architectonical elements that always attracted artists of each kind, like Van Gogh, that lived at 54 of this road. Built in 1622 this is the last of the many more that worked here during the XVII century. It has always been one of the most beloved symbols of Paris from citizens and artists; try to portray it like Renoir, Van Gogh, Picasso and many others did. This picturesque and peculiar road is one of the favorites from contemporary artists. This building has been the subject of some renowned Utrillo's works, who, living in Montmartre, painted the Maison Rose in one of his most famous masterpiece. 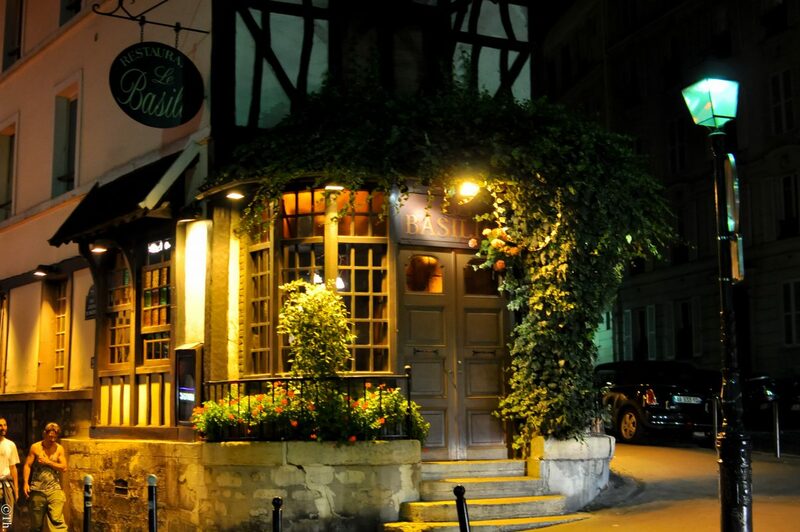 Now a days it is a very popular restaurant, particularly fascinating for its history and architecture. This building hosts today a cabaret, but before the 1st World War, it was a popular meeting point for artists and writers. This square, very close to the Basilica of Sacré-Cœur is a lively center where many kind of artists use to sit to draw the view of the city, giving birth to one of the most picturesque and appreciate area of Paris. An authentic and stereotyped view of the old city, as it was knew and imagined in all Europe. For its white charm and majesty, the cathedral is undoubtedly one of the most popular destination in Paris. Its building lasted almost 40 years and now it is visited by citizens, lovers and tourists, for the stunning view it can offer and for the atmosphere it convey. Paris_-_Stairs_climbing_Montmartre_-_1966_cc_commons.wikimedia.org Staircase in Montmartre, Paris. Parigi-maison_rose_cc_commons.wikimedia.org La Maison Rose, Montmartre, Paris. La_Maison_Rose,_Montmartre_3_January_2013_cc_commons.wikimedia.org La Maison Rose, Montmartre, Paris. 6156383446_ba8753399f_b_cc_flickr_DeepakG Curvy street in Montmartre, Paris. 3371701132_b7d84c0e56_b_cc_flickr_Serge Melki Sacre Coeur Church, Paris.